Way to the Sweet House! Dogs are considered as best companion of humans around the world, and these energetic pets love to spend most of the time around their owners. But sometimes, like other young adults of the family, they also need their personal space to relax, eat and sleep. Here comes the need for a dog house but the selection of the right dog house is a challenging task for most homeowners, especially when you own large dogs. 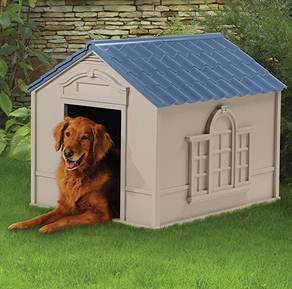 Although this large dog house is made up of plastic material, it is sturdy enough, and at the same time, it is one of the most budget-friendly solutions for your home. Moreover, it comes with a free door flap that assists in insulation. 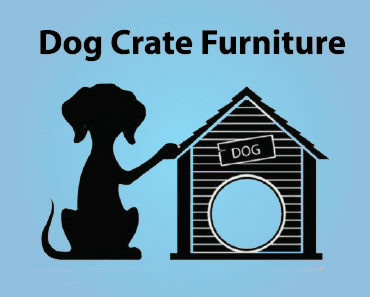 It needs a few minutes for assembly, and soon your large dog can start enjoying relaxing time inside. The floor is well supported, but it doesn’t mean that you will find it will exceed the weight limit. You will love the way it has a faux window, nameplate, and a door flap. Easy assembly that can be completed without any special tool. It includes an adjustable door. Easy to move with a lightweight design. You will find it a budget-friendly choice for your pet. A durable structure that can resist in extreme weather conditions. Can be used only for dogs below 100lbs weight range. Low door frame that doesn’t suit taller dogs. Although it stays warm due to door flaps, it doesn’t have specialized insulation arrangements. 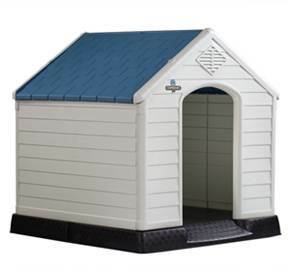 This dog house is one of the best entry-level large dog houses that you will find easier to clean and assemble as well. It is designed with an elevated floor that can save the structure from flooding. 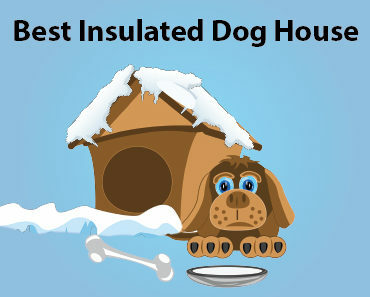 Although this dog’s house is not insulated, it can withstand in the light to the average flow of wind. Best choice for warm weather. Lightweight design that is easy to move. 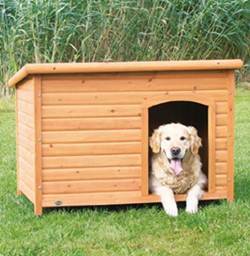 While buying a dog house, homeowners often love to find something attractive and comfortable. The Ware is one of the most beautiful options for larger breeds with its pretty generous entrance size. People who live in mild weather areas, this house can serve their pet for a longer time. It is not insulated and ventilated. Cannot resist in extreme weather conditions. 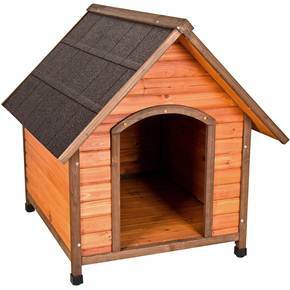 Some of you may find it like a chicken coop, but in actual your large dog will definitely love to spend time in this cozy, comfortable house. The offset door of this wooden house keeps dogs protected from external elements and can also trap the heat during the winter season to maintain the required warmth inside. You will be happy to know that its panels are paintable and stainable, so you can change the color as per your need. One of the most attractive features of this dog house is its higher roof that has locking arms to ease the clean-up process. Hinged roof that appears easy to clean. Adjustable feet with raised floor. Fairly easy and quick assembly. It is suitable for dogs below 100lbs weight range. No ventilation and insulation arrangement. 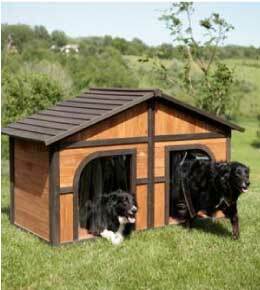 If you have two dogs in your house, it is good to invest in this duplex wood dog house that suits larger dogs as well. Note that, this house has a removable partition arrangement between both doors so that each dog can find its personalized space to relax and sleep. However, if you want to keep pouches in this house with the mother, it is good to remove the central partition and let them stay together happily. You can also paint and stain this structure to create a perfect color combination with your own home. This house suits one as well as two dogs. It includes 2 separate door flaps. Removable floor and roof panels that allow easy cleaning. No arrangement for ventilation and insulation. Some pieces may not fit perfectly. 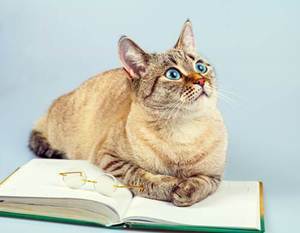 Sally McLelland is a California, USA-based freelance writer who has owned pets all her life and enjoyed very much. She has written a lot of content about pets (cats, dogs, etc.) for the past 3 to 4 years and currently having a grumpy tabby cat and an overprotective Anatolian Shepherd Dog.